GNPA of SCBs rose to 11.6% in FY18 compared to previous 10.2% in September 2017. This would be be 140 basis points increase in GNPA in just seven months of FY18. The Reserve Bank of India has released the 17th series of Financial Stability Report (FSR), and looking at the trend mapped by the central bank it is clear that the problem of Scheduled Commercial Banks (SCBs) is not over yet and that revival is not nigh. The FSR reflects the overall assessment of the stability of India’s financial system and its resilience to risks emanating from global and domestic factors. The Report also discusses issues relating to developments in and regulation of the financial sector. The major issue of SCBs especially public sector banks (PSBs) have been the gross non-performing assets (GNPA) which clearly is not ready to come down as shown in the report. 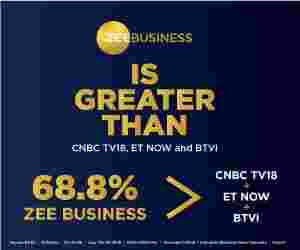 GNPA of SCBs rose to 11.6% in FY18 compared to previous 10.2% in September 2017. This would be be 140 basis points increase in GNPA in just seven months of FY18. Interestingly, net NPA registered only a smaller increase during the period due to increase in provisioning. 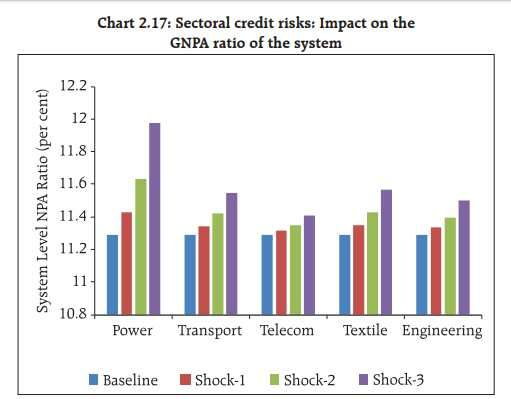 According to RBI, credit risk arising from exposure to the infrastructure sector (specifically power, transport and telecommunication) as well as textiles and engineering was examined through a sectoral credit stress test where the GNPA ratio of the specific sector was assumed to increase by a fixed percentage point. RBI said, "The resulting impact on the GNPA ratio of the entire banking system was examined." PSBs had the maximum exposure to these sectors and also account for the highest GNPAs, particularly in the power and the telecom sector. The results of the stress tests show that among the considered sectors, the most severe shock to the power sector will cause the banking system GNPAs to rise by about 68 bps. The textile and the engineering sectors, though small in terms of total advances to that sector as compared to the infrastructure sector, also exhibited considerable transmission of stress to the banking sector. The central bank believes e GNPA ratio of all SCBs may increase from 11.6% in March 2018 to 12.2% by March 2019.